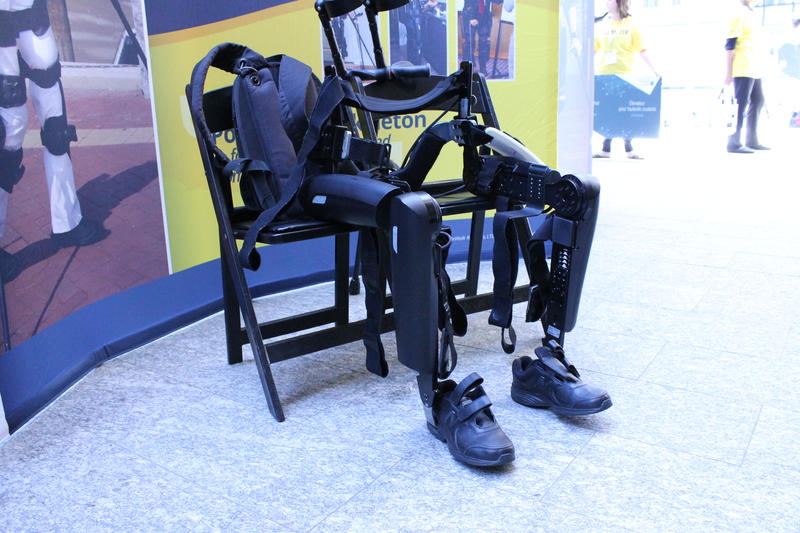 Exoskeletons, robots and smartphone controlled wheelchairs were just a few of the innovations to be seen at the Accessibility Innovation Showcase at MaRS, which wrapped up earlier this week. 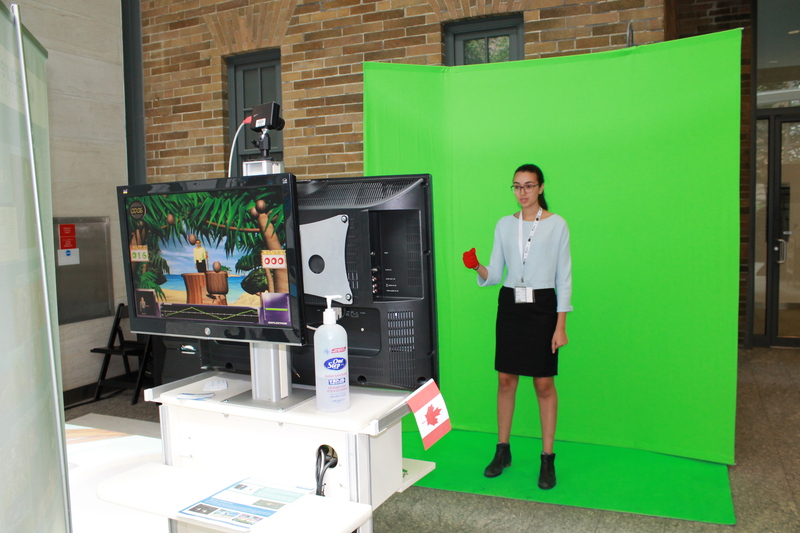 The three-day event shone a spotlight on innovative accessibility technology and assistive technology companies, coinciding with the 2015 Parapan Games happening and in celebration of the 10th anniversary of the Accessibility for Ontarians with Disabilities Act, and the 25th anniversary of the Americans with Disabilities Act. 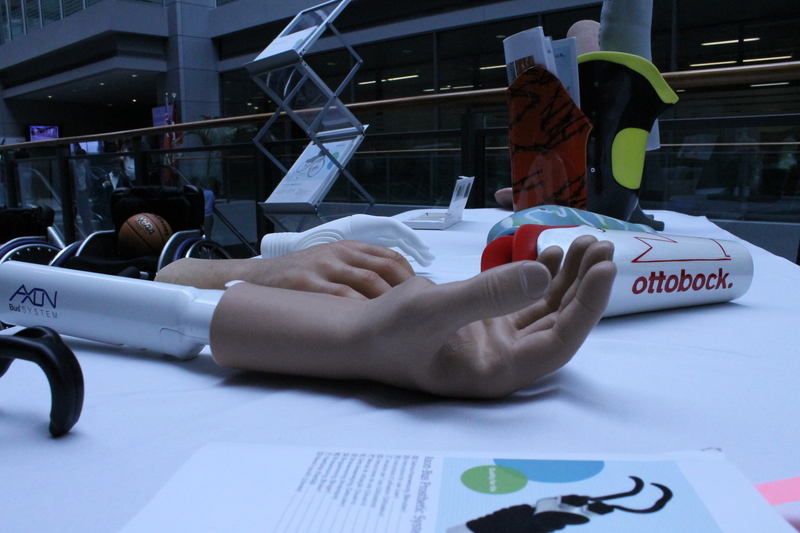 Over 50 exhibitors demonstrated how technology is being used to change the lives of people with disabilities. 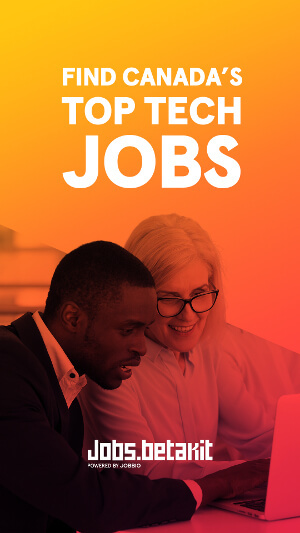 Among them was Able Bionics, a London, Ontario based gait neurorehabilitation company that uses exoskeletons or wearable robots to help those with low mobility walk again. Exoskeleton manufacturer ReWalk Robotics was just around the corner from Able Bionics demonstrating its wearable robot. 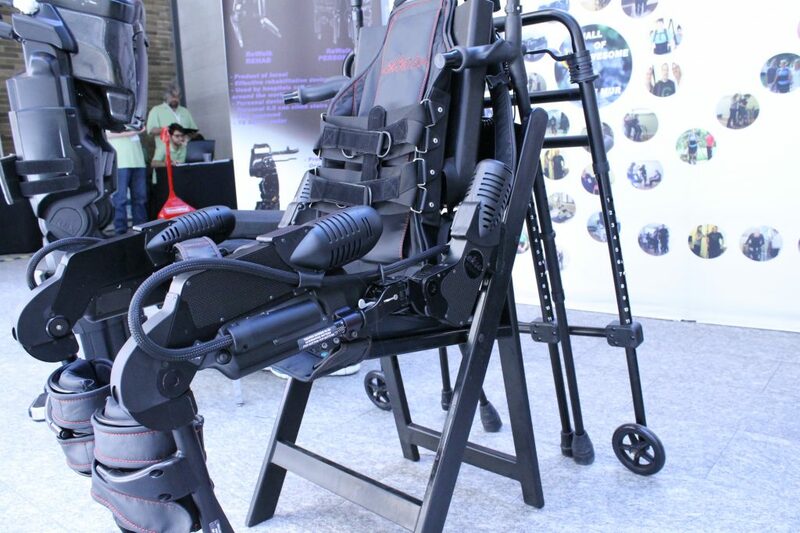 Earlier this year, ReWalk was the first exoskeleton company to have received FDA approval for its device to be used for home use. eSight eyewear was also demoing its transformative tech, which allows the legally blind to see with an early stage startup, iMerciv, also showing its tech for the legally blind, the Buzz Clip, at a nearby table. 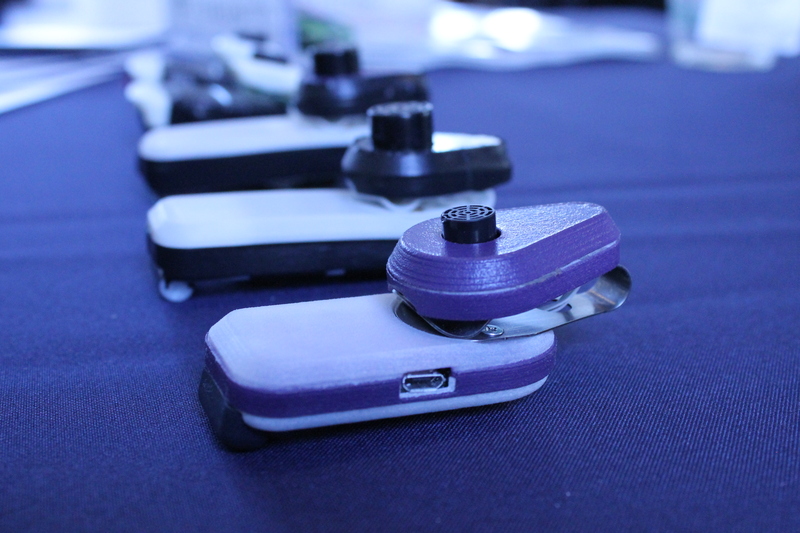 The Buzz Clip uses ultrasound to detect obstacles for the wearer and then buzzes to let them know to stop walking to avoid a collision. 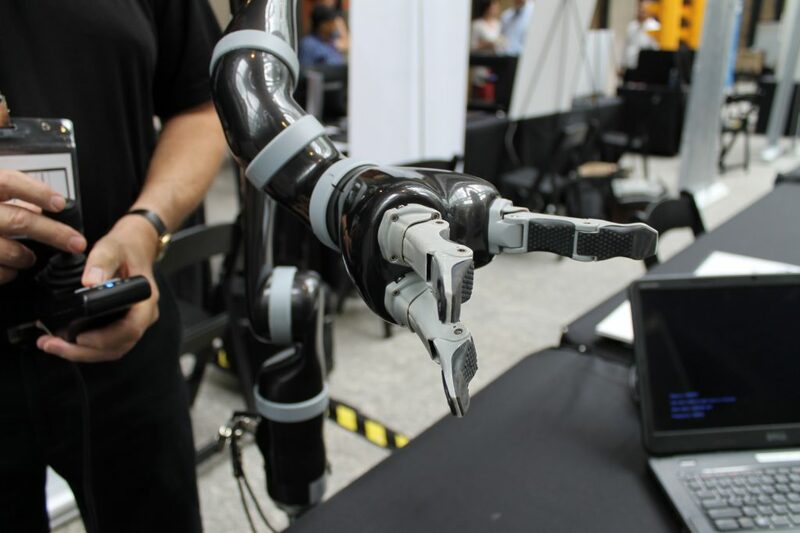 Telepresence robots, gesture tech and 3D printed prosthetics could also be found as part of the show. Along with the exhibitors, the Accessibility Innovation Showcase featured some inspiring speakers and entertainers including Canada’s most decorated Paralympian, Chantal Petitclerc of the Rio 2016 Paralympic Games, and Founder of One Revolution and Paraplympic Hall of Famer, Chris Waddell. Also part of the event, the Ontario Centre of Excellence ran a Tech Pitch competition with seventeen semi-finalist companies pitching their assistive technology to a panel of judges on Sunday, August 9 (of which I had the pleasure of moderating). Yesterday, the five finalists went in front of the final panel of judges who selected LegWorks, a startup who have created a revolutionary new prosthetic knee joint, as the winner of the $20,000 grand prize. 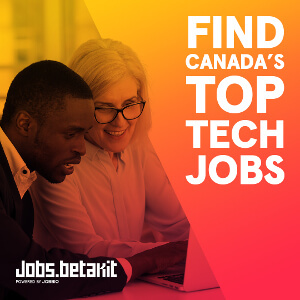 Able Bionics is a gait neurorehabilitation company operating in London, Ontario and Aspen, Colorado and specializing in exoskeleton therapy, training, sales, and protocol licensing. 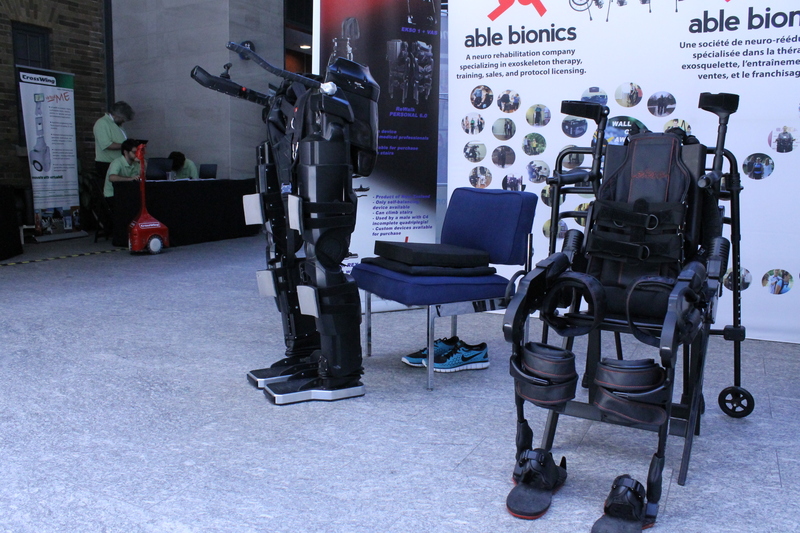 The Ekso Bionics exoskeleton is on the right and the Rex exoskeleton is on the left. ReWalk Robotics designs, develops and commercializes exoskeleton devices to help people facing mobility challenges to stand and walk again. Able Bionics is a gait neurorehabilitation company operating in London, Ontario and Aspen, Colorado and specializing in exoskeleton therapy, training, sales, and protocol licensing. 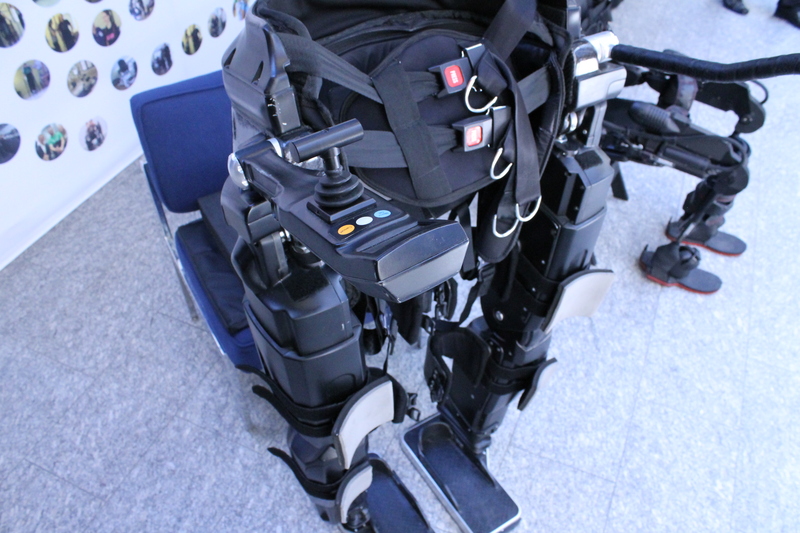 This is a close-up of the Ekso Bionics exoskeleton. Able Bionics is a gait neurorehabilitation company operating in London, Ontario and Aspen, Colorado and specializing in exoskeleton therapy, training, sales, and protocol licensing. 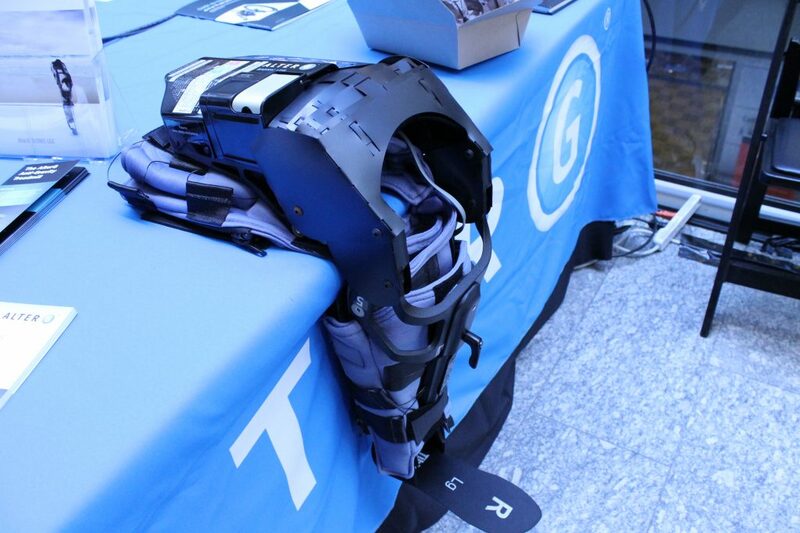 This is the Ekso Bionics exoskeleton. AlterG has developed a bionic leg with user initiated motor technology and an Anti-Gravity Treadmill with air pressure unweighting technology. 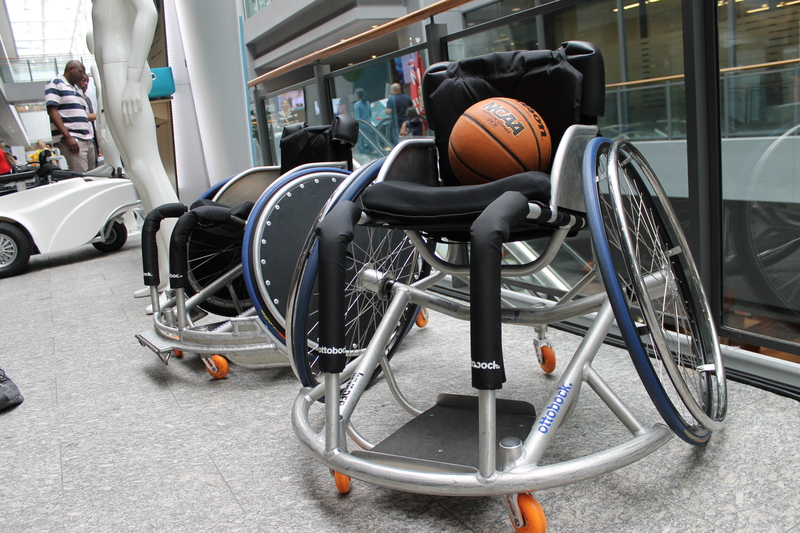 Otto Bock produces over 50,000 types of prosthetic and orthotic components, and mobility and rehabilitation products. Kinova Robotics has developed a robotic arm to assist people with reduced upper body mobility, helping them to perform complex actions. 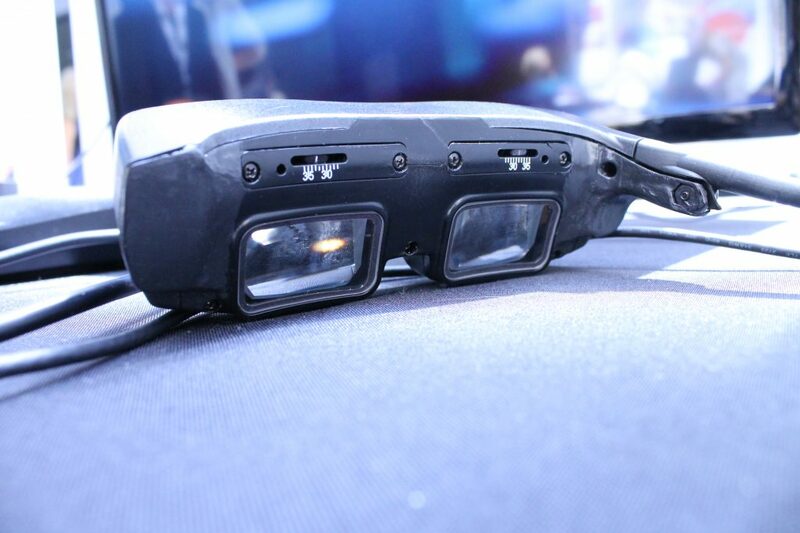 eSight Corporation has developed patented eyewear that enables the legally blind to see. 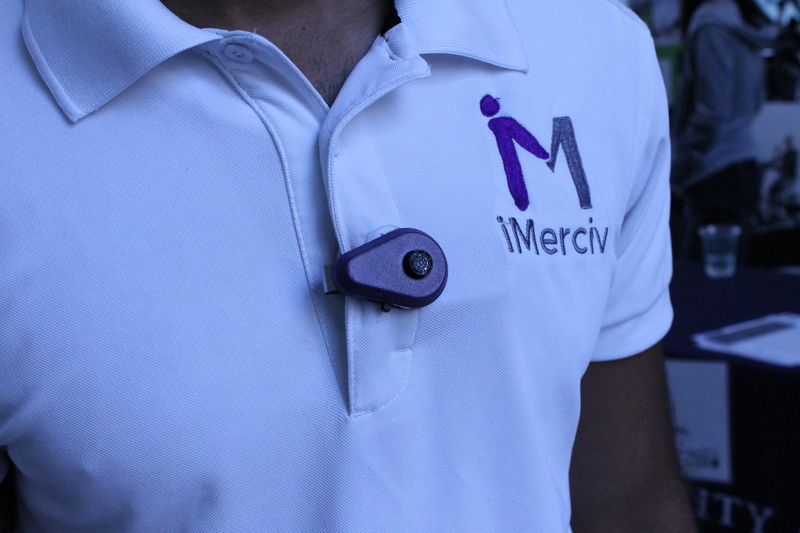 IMerciv’s wearable assistive technology helps the blind, deaf-blind and partially-sighted improve orientation and mobility. 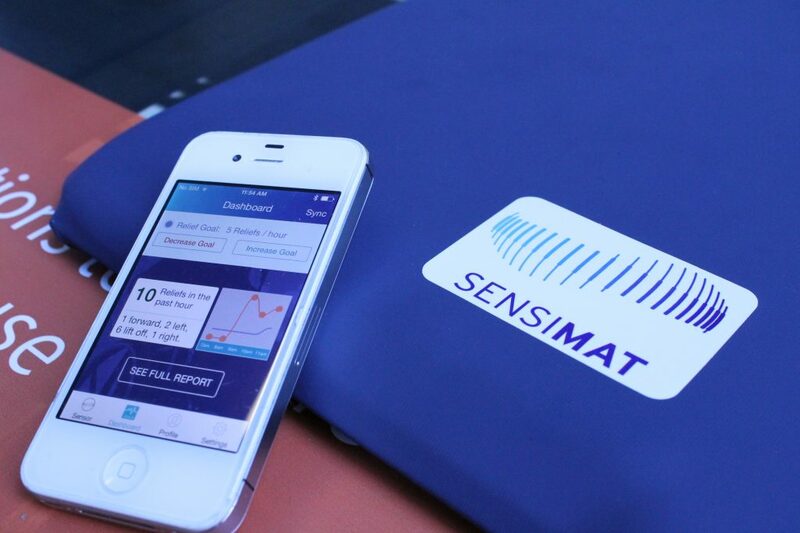 Sensimat Systems’ wheelchair pressure monitoring system alerts the user/caregiver when pressure relief has not been detected and stores historical pressure relief information. 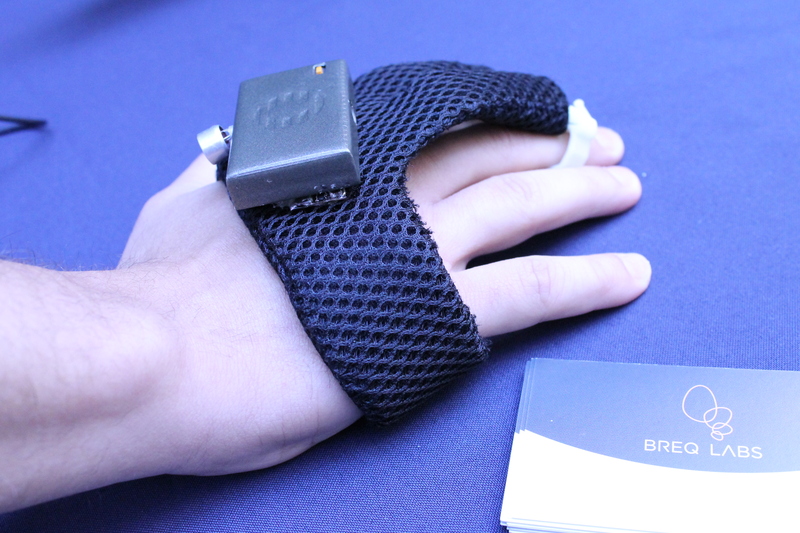 BreqLabs builds hand-tracking products to enable individuals, especially those with disabilities, to access computers in new ways for work or for communication purposes. 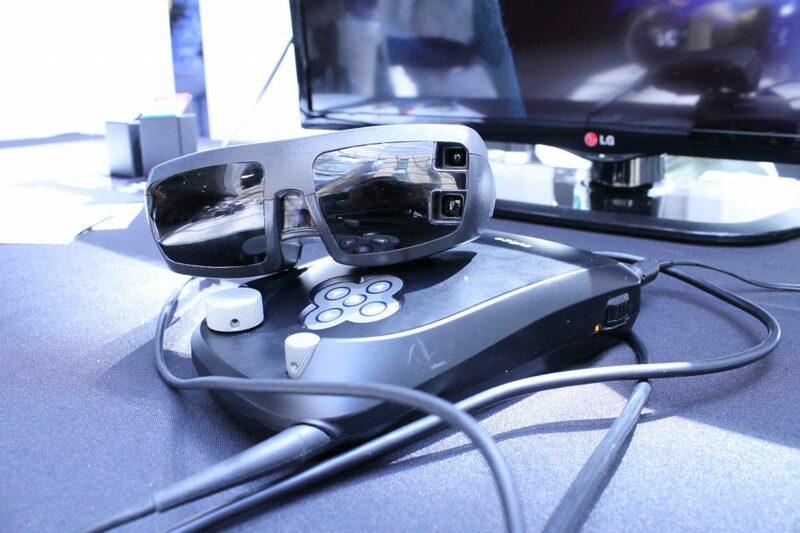 GestureTek provides gesture-controlled technology for immersive displays, signs, surfaces, and full body games. 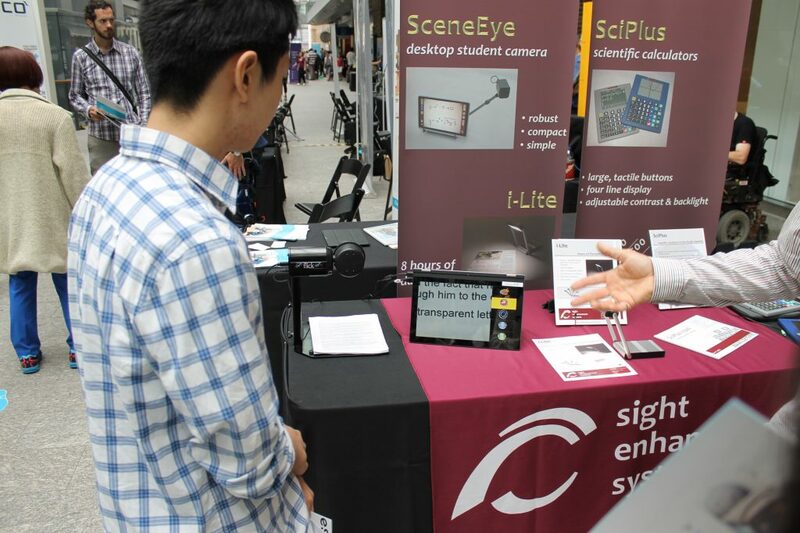 Sight Enhancement Systems’ technology assists visually-impaired school children by providing them with products such as accessible talking calculators and portable desktop cameras.